The 28-year-old Australian UFC middleweight champion Robert Whittaker around the same time last year forced to pull out of the UFC 221 PPV event against Luke Rockhold when a flesh-destroying bacteria spread to his stomach which leaves ‘Reaper’ in a life-threatening situation. Moving forward to 2019, Whittaker who was slated to defend his title against Kelvin Gastelum in the main headliner of UFC 234 PPV event last night from Melbourne Australia once again forced to withdraw from a contest due to hernia issue. Even UFC president Dana White said yesterday that Whittaker has dodged the bullet and describes his health issues a ‘freak’ injury, and it could have been fatal.’ Now “Reaper’s” team gives us update on his surgery. 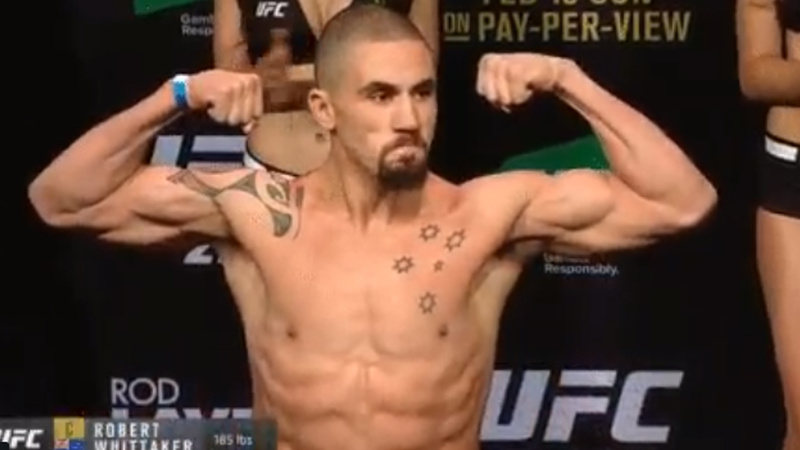 Despite Whittaker’s estimated timeline for recovery, we’re unsure if he’ll make a full healthy comeback.